Meet Tommy Stearns, Bartender from Canon in Seattle, WA. Tommy is one of the many great people that work at this establishment. 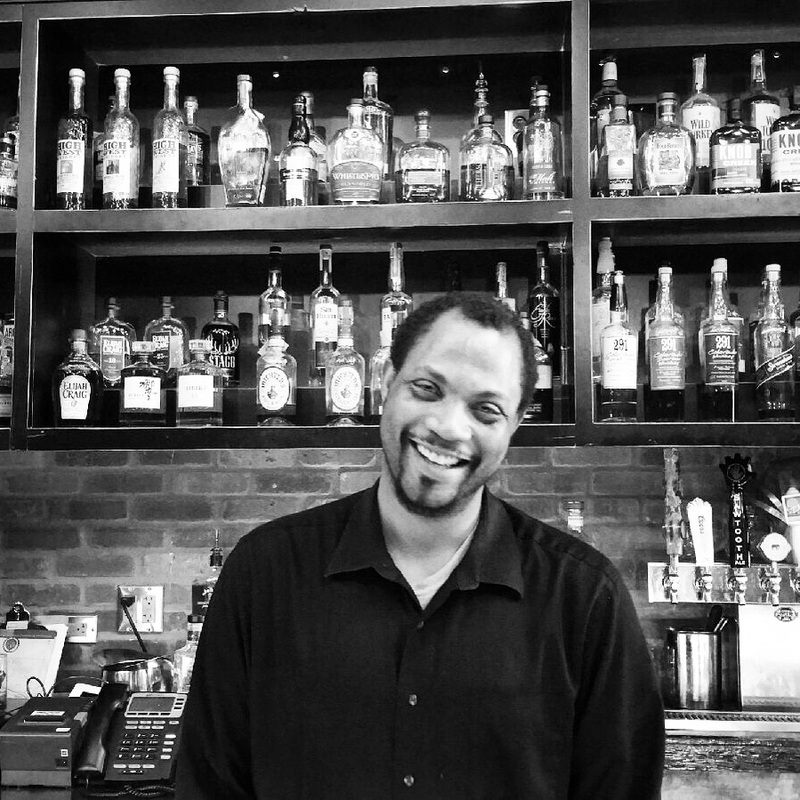 His expertise in mixology impresses many that walk into this location. 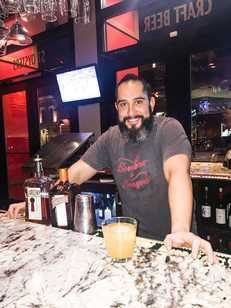 His ability to hear what a patron is looking to enjoy and creates the concoction right before your eyes is quite the skill. 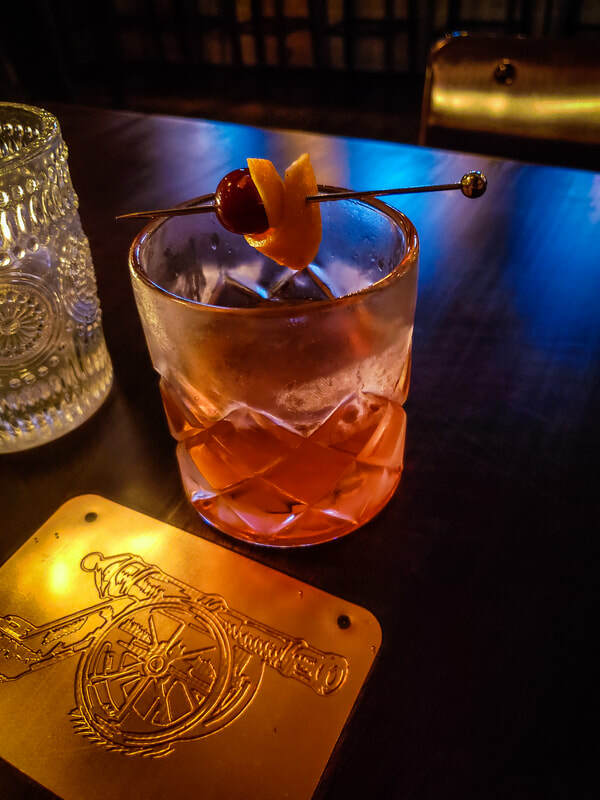 Imagination and creativity are tapped for each and every cocktail that is presented to a patron. Their cocktail list is impressive with names like Death in the Caribbean, Campfire in Georgia and Bubbles in Bath. On top of the imaginative cocktail that one will find at this location there is a list that you will be presented with (if you so incline to look at it ) of 4,000+ spirits. Close to 3,000 of them belonging to the whiskey family, which is a very impressive whiskey collection if I do say so myself. One tasting that we were recommended to try was the Rittenhouse 21 year. First off, I had no idea that Rittenhouse had a 21 year and it was quite tasty. The list does not stop there, with whiskeys from around the world the staff of the Canon is quite knowledgeable and can direct you to that acquired taste you might be looking for that evening. The Canon bar has won a number of awards over the years, and is considered one of the best bars in the world. Reservations can be made (highly recommended) if you are absolutely sure you will be attending. There is a fee per person to reserve a table, but you will definitely want a seat at this location. The fee for your reservation is applied to your bill at the end of the evening. This is definitely a location that I will be visiting when in Seattle. The Volstead Act of 1920, stated that alcohol over .5 percent was considered illegal, and that no person would be allowed to create, distribute, transport or consume it. This act created the time that we know of as prohibition which was between the years of 1920 – 1933. The act would later be known for creating bootlegging, speakeasies and organized crime. Women would play an integral role in establishing speakeasies, to include Texas Guinan, who had quite the past with law breaking officials. Her story, which I found at CityJouranal.org relates her fascinating tale and how she opens the 300 Club in New York towards the end of prohibition. Speakeasies were secret locations that select individuals would be privy to, to enjoy their cocktails during prohibition. They were established in attics, basements, office buildings, and private homes. In the 1920’s, New York alone had 32,000 clubs in existence. Entry into a speak easy would require a membership card, knowing the owner of the establishment or knowing the password to get in. Entrances would include alley ways, exit doors, or a broom closet. One password that I came across while attending a couple of speakeasies was “we are friends of Jake”. At the time I was thinking that this was the bartender or the owner of the establishment, but I was wrong. I found that there is another meaning behind “Jake”. Jake was the secret reference to the lower cuts of liquor that most people could afford. This was a lower quality that was served to the lower class, and Jake was the term for the Jamaica Gin, a popular, potentially poisoness, cocktail of the 20s. Speak easy locations are not illegal today, but their concepts are making a comeback. Some locations are original and were found by mistake. Others have been created by providing the secret passages and 1920s decor of the prohibition time to give their customers a sense of what it was like in the past. Dark alley ways, special knocks and passwords to get into these establishments. Most establishments will take you into a basement, with dark decor and no windows to be found. Most speakeasies will refer to the days of Jazz and you can find some amazing artists playing. 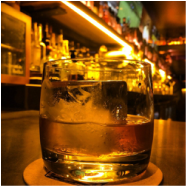 Take some time to find your local speakeasy and check it out. Be curious to know what lies behind the cigarette machine or through the other end of the walk in freezer, and enjoy a taste of American history and the spirits they provide. Cheers! While visiting the French Quarter for my daughter’s 21st birthday we were told about this incredible little spot. The oldest building still standing in the French Quarter to date (since 1722), Lafitte’s Black Smith Shop. This building has withstood two fires in the early 19th century, due to the slate roof (which pieces are now used as art canvases, by local artists). Jean LaFitte, was a pirate that is also known as an entrepreneur, diplomat and hero of the Battle of New Orleans. Story has been told that LaFitte was known to use this establishment to arrange his business “deals”. This area of the French Quarter was known as a safe place to have these arrangements made. Their site says it best that this area of town was a “gumbo of truth and French, Spanish, African, Cajun and American embellishments”. During the Battle of New Orleans, it is rumored that Lafitte assisted Andrew Jackson with detouring the British and providing a number of goods that were needed to win the battle. In the 1940s, the Blacksmith shop was turned into a Café by Roger ‘Tom’ Caplinger. The Café turned into a popular night spot and later is was discovered that he did not hold the proper paperwork to own the property. The blacksmith shop was then sold in 1953. In 1970, the building was declared a National Historic landmark due to its example of being a briquette-entre-poteaux style of construction. Today this blacksmith shop is a fantastic and apparently haunted bar. Strange but while I was there I felt very much at home. Check out their location and try some of their fantastic mixed drinks. Anyone that has access to the internet will read that Pat O’Brien’s is stated to have the best Hurricane’s but I can tell you from what our tour guide said, and what I can attest to be true, the Hurricane can be found, and is highly recommended to be had at Lafitte’s. On our next trip down I will definitely be revisiting this location and asking for a more personal tour and description of their story. I was very impressed with this establishment last night. My friend Carol and I visited for happy hour and dinner. They have a cute rooftop bar that is open in the summer time, which is perfect for a lazy day that includes sipping on some delicious cocktails. 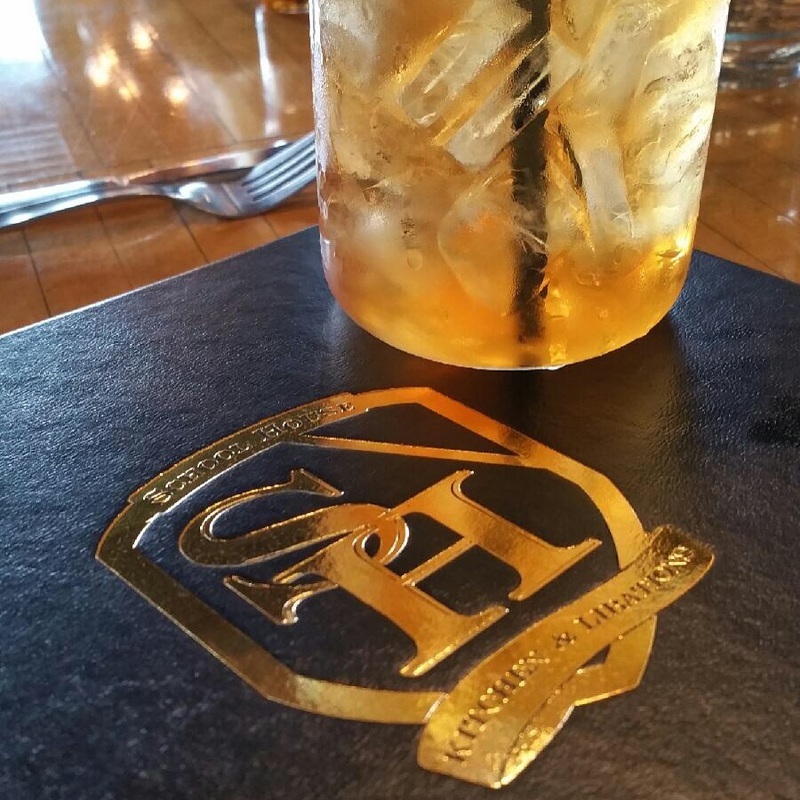 They have a great happy hour from 3 pm – 6 pm. ½ price apps that will make you order more, like the Man Candy, OMG! They have quite the variety of whiskeys to choose from and they do not shy away from a challenge. 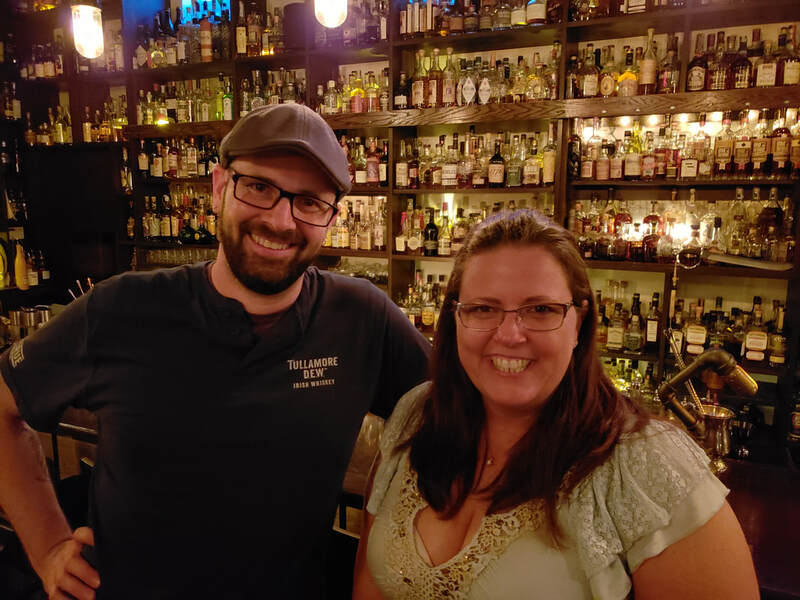 After speaking with Aaron (Bartender) about my website, he very graciously accepted the challenge to make me his whiskey cocktail. Aaron asked all of the right questions, when determining what whiskey cocktail to make (not everybody does this. Good Job!) The Millionaire with an Aaron twist was phenomenal, absolutely recommend you order one when you visit this bar. This drink turned my friend, who is a martini drinker, into a whiskey drinker for the evening (Not sure if we can get her to that point every time, but it is worth a shot!). Stop by and see the crew at Ignite and enjoy one of Aaron’s Millionaires. If you for some reason are unable to make it down there Aaron was kind enough to provide his recipe to me and is posted on my recipes page. Since I wrote this review I have taken some new friends to Ignite. Noticing that Aaron is not there every Thursday I go, I tried some of their Happy Hour Cocktails. The Barrel Aged Tap Rye Old Fashioned is very tasty and highly recommended if you are in a cocktail mood. Cheers! In the spirit of great places to enjoy whiskey we found this gem last weekend. Ernie’s was established in 1943 and re-established in 2009. 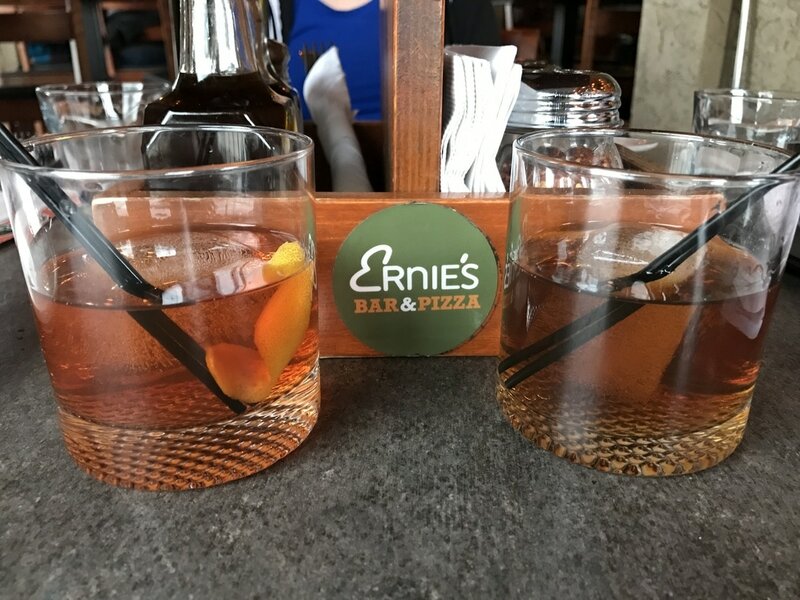 This cozy bar and pizzeria is a great place to have a date night, or bring your family for a pie and a Laws Whiskey Cocktail (they have a number to choose from). They have a nice fireplace for those cold days, or skee-ball games for you to get your game on (Who doesn’t love a friendly competition of skee-ball). Fun for everyone! First thing that I absolutely love is this place is not located in downtown Denver, it is on the out skirts which means you can find parking. 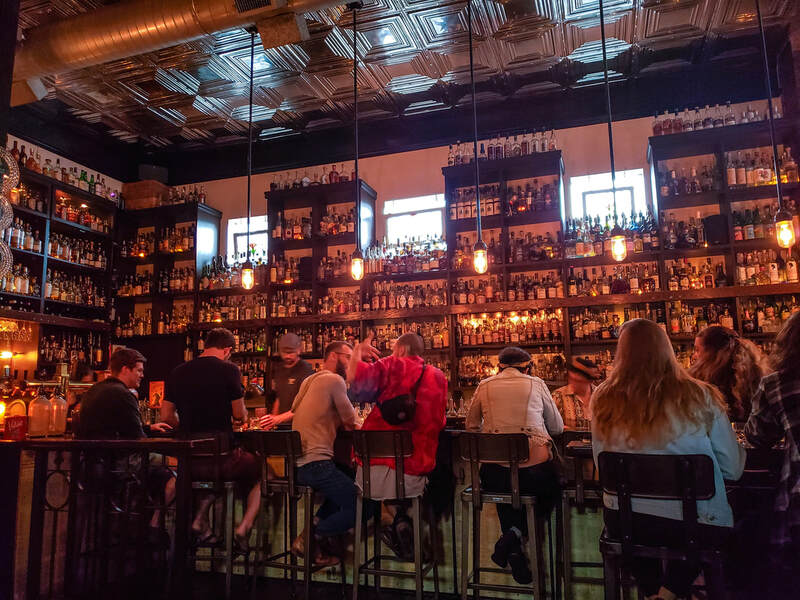 Last but not least you will enjoy their whiskey list with includes some two ounce pours of some fantastic whiskeys like Thomas Handy Sazerac, Pappy and many others. We tried the Thomas Handy Sazerac which came with a small glass of distilled water. It was nice to know that the manager knew exactly how the whiskey should be served. As for cost the whiskey, I thought it was priced about average with other local establishments, serving similar pours. 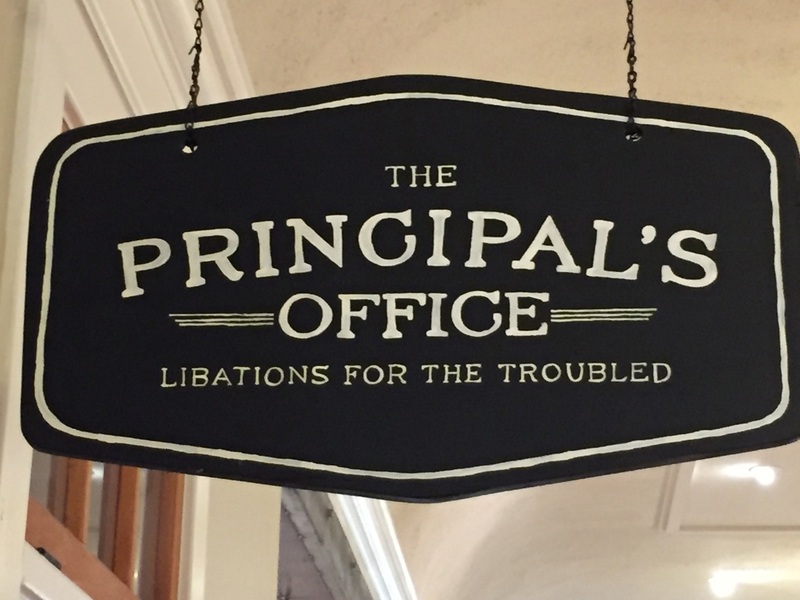 Thanks to a good friend of mine in the Springs I was able to visit the Principal's Office, which is an old school house that was turned into a bar and brewery. Great cocktails (mine being the old fashion, of course) which was made with fresh juices along with a great whiskey. Check this place out if you get a chance during Detention hour. As most of my friends can tell you I have quite the fascination with Stranahan's Whiskey. I was very excited when they opened their lounge. Schedule a free tour and enjoy a tasting of this great whiskey, if you have not already done so (see website below), and grab a cocktail in their lounge. They do have a limited schedule but it worth making time for this place. Check out their whiskey which is infused with honeycombs. A very tasty treat! This bar has class and 109 whiskey/bourbons to chose from. Fifteen of them are from Colorado and there are a number of them from around the world. If you are a whiskey connoisseur you will be happy to know they carry a few of the Pappy Van Winkle whiskeys. So far this place has the best old fashion that I have ever ordered and recommend it if that your kind of drink. If you stop by try the fried chicken, its made with a sriracha flavored batter and their fries are pretty tasty too. Meet Ryan... Bartender at Whiskey Street. They have the largest whiskey collection in Salt Lake City. While I was there I tried Rhetoric Orphan Barrel. Pretty great stuff. Ryan is a fantastic bartender. He definitely makes the best old fashion in Utah. He used E.H. Taylor Rye which gave the old fashion a great cinnamon twist to the sweetness of the simple sugar. No citrus blend here accept for the aroma of the orange peel. When visiting tell Ryan I said hello and be sure to try his version of the old fashion. What a great experience! Nothing like finding good music and good whiskey in Nashville. 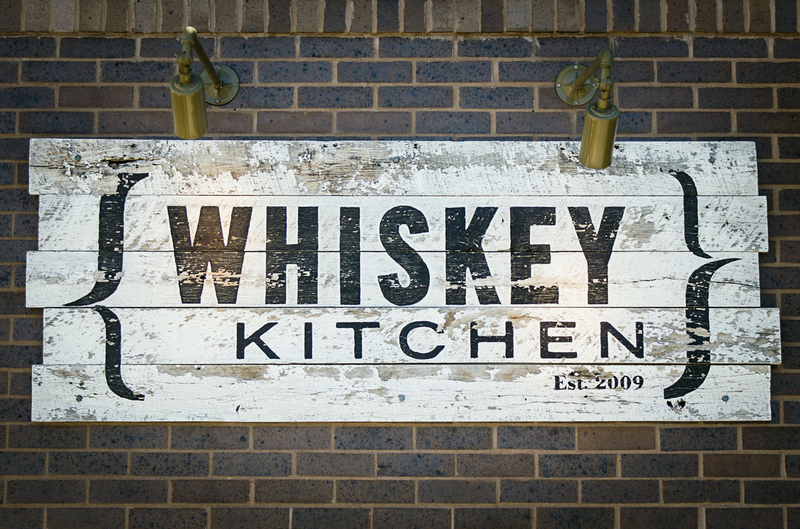 Whiskey Kitchen is a great place for trying some new whiskeys and the staff here is so warm and inviting. You can not go wrong with making this a stop on your next trip to Nashville. A drink that was recommended to me to try was the NEW Fashion, which I absolutely enjoyed. This has an interesting twist to an old fashion that included cinnamon and apples. Thank you to Nick and your great staff for the recommendation. Southern Hospitality is a chain restaurant worth visiting. Great southern comfort food. The location in Colorado Springs has a unique twist... they have what the call the Bourbon Room. The Bourbon Room is where we met Chris. After explaining that I am looking for the best old fashion recipe he provided quite the drink. Not only does he use a rye whiskey, he roasts the orange peel and treats the rim of the glass with the peel. You definitely do not want to drink this drink through a straw! Stop by and see Chris and let him know you are there to check out his great whiskey selection. This location looks just like a school house on the inside. Booths include the old school bus seats and your menu comes in two pocket folder that I am pretty sure students are still using today. The bathrooms have a chalkboard setting that has the writing on "I will not pass love notes in class". There is an upstairs patio and one on the main level. Great for those after work happy hours. Now down to the whiskeys. This location has 1200 whiskeys to choose from, which means I have 1100 more to go in my collection to meet their numbers. Who would have thought! I wanted to take a picture of their whiskey list but it is in a school binder and my picture would not do it justice. Some whiskeys to choose from include AD Laws Bottled in Bond, the Pappy Van Winkle Family collection and may more. Definitely need to make time to revisit this location. Okay for the record I will probably be back here a lot! Check it out for yourself. While in Casper, Wyoming, we were recommended to check out this location for a couple of reasons. I heard they had great food and a nice whiskey collection to choose from in Vintage and Poplar, the liquor store next door is where you can purchase some of these hard to find libations. While visiting, the restaurant was closed. But we were very fortunate to meet, one of the owners, Mike Reid, who let us in to show us the collection they had available for tasting. They have quite the selection of Pappy spirits along with orphan barrels and many more. One spirit that Mike let us try was the cask strength Wyoming whiskey. For a cask strength whiskey it was very smooth and tasty. Unfortunately, as Mike tells us the story, the Wyoming Whiskey barrel started to leak and they were only able to save 100 bottles of this great spirit, so they labeled it Cask strength and sold the bottles that way. I definitely recommend visiting Vintage to try this whiskey. Once it is gone it is gone. Poplar (liquor store next door) was just as impressive as we left there with quite the purchase. They stock some of the hard to find whiskeys which I just had to get my hands on. For the four hour drive from Denver I will definitely be revisiting this location not only for the tastes that Vintage provides, but for the purchases to bring home. Almost like a Disneyland for adults. Not only do you get to go for the experience you get to take home souvenirs! On our trip across the country, we found that the best place to try the Sazerac cocktail is at the Sazerac Bar in New Orleans! Meet Andrija. He informed us that the Sazerac was the first cocktail that was made in the United States. The Sazerac Bar is located in the very beautiful and unique Roosevelt Hotel. Not only is this the best place to try the Sazerac, Andrija let us try his own cocktail. 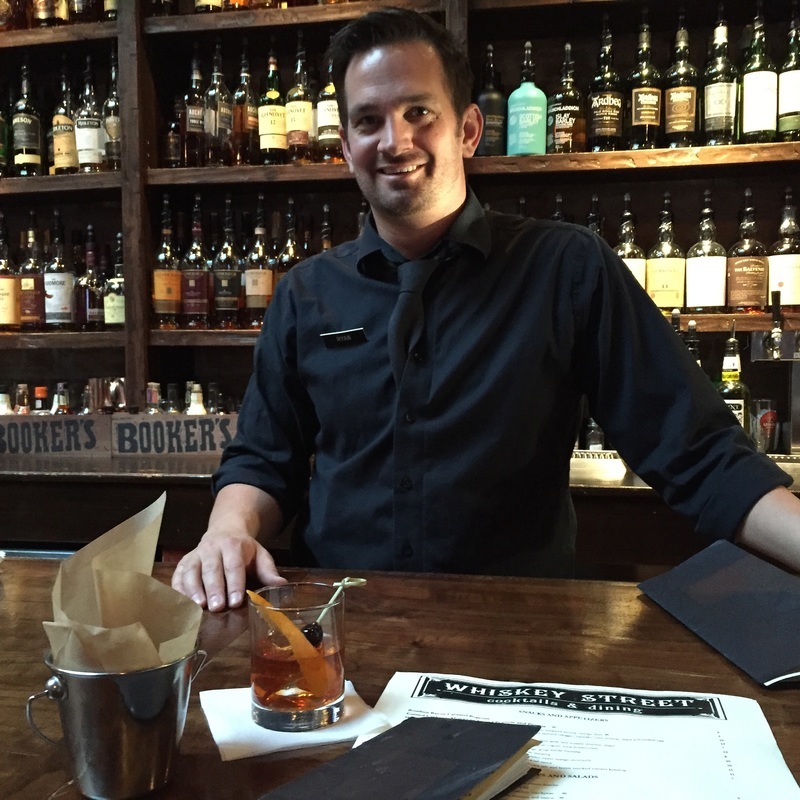 His manager wanted a new drink on the menu and wanted to incorporate Buffalo Trace Whiskey. They realized that in New Orleans a majority of the drinks were made with vodkas and rums. The Ziveli, which is Serbian for "Cheers" is the perfect combination of Buffalo Trace whiskey and watermelon juice. The Ziveli is the perfect summer time treat to enjoy no matter where you are in the country. Andrija was kind enough to share his recipe with us and will be posted on my recipe page. During our stay in Oklahoma City we stumbled upon this great fine. We counted 220 whiskey on their list with a number of cocktails. The food was great and the whiskey cake at this location is absolutely amazing. So moist and a great flavor. Definitely by far my favorite cake to date. I definitely recommend that if you are in the area stop by and enjoy a taste of your favorite whiskey with their whiskey cake. Cheyenne Mountain Resort is a great place to go to unwind. Their spa amenities, their restaurant and spacious rooms alone are worth the visit. But... if I can entice you further here is what I would like to impose. This beautiful resort is a great place to relax after a day of checking out the distilleries and fabulous restaurants that Colorado Springs has to offer. Once you have finished your day enjoying the sites, make your way to the resort to enjoy a cool beverage at the Elevations Lounge, where they are stocked with Colorado spirits. After dinner, at the resort restaurant you can experience the beautiful night sky out by the fire pit with your favorite alcoholic beverage and roast your own marshmallows for your gourmet s'mores. Urge is a great place in Oceanside to visit. They have quite a selection of whiskeys to choose from along with unique flights. While we were visiting we tried the Wild Turkey flight and had a side tasting of California's own Breakers Bourbon Whisky. It is finished in a port cask. It was the perfect end to our evening with a nose of caramels and vanillas. The taste reminds me of a cream soda beverage on a hot summer day. 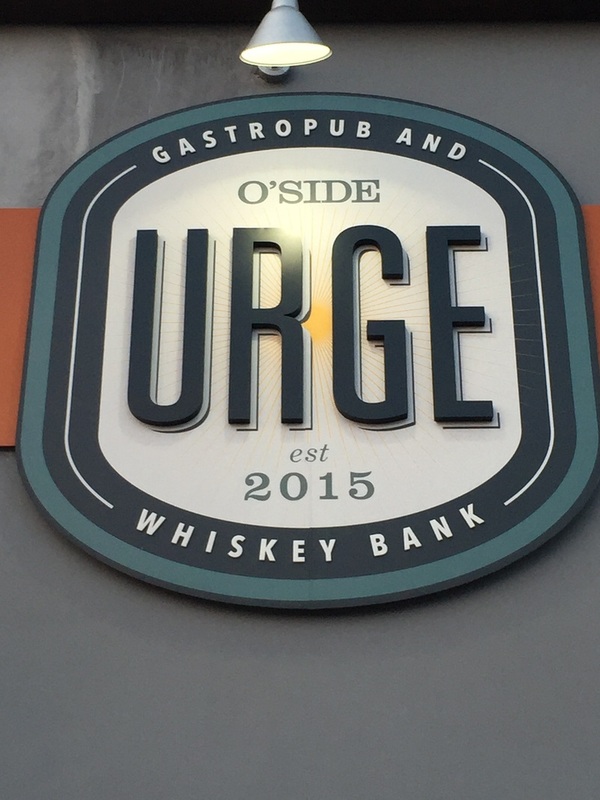 If you are in Oceanside check out this gastro pub and whiskey bank. You will not be disappointed.